The Jawaharlal Nehru University plans to place teachers under the Conduct of Central Services Rules, which would restrict them for making public statements against the administration, a member of the academic council said Friday. The varsity held its academic council meeting on Friday and the issue was part of the agenda, which the Jawaharlal Nehru University Teachers’ Association (JNUTA) alleged was circulated only three-four days before the meeting. 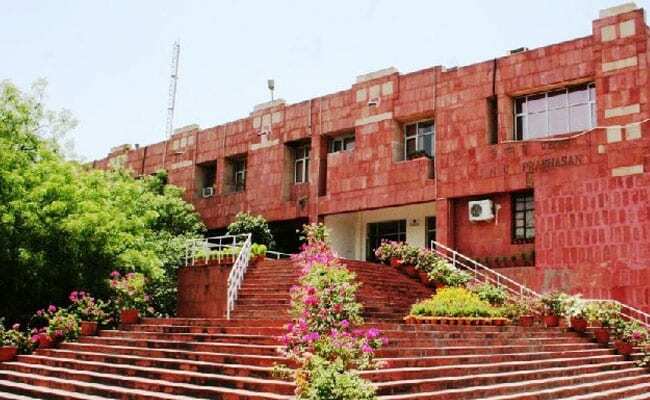 The JNU administration passed the proposal of three online courses -MA in Sanskrit, Certificate of Proficiency in Computational Linguistics and Certificate of Proficiency in Pali, the varsity said. The academic council of the varsity also noted that efforts will be made to fill all the MPhil and PhD vacancies. An academic council member said a discussion was held on the Conduct of Central Services Rules for teachers, which would mean they will not be allowed to express dissent. He said there was discussion on it, but the vice-chancellor did not take their views into consideration. In a statement, the JNUTA alleged teachers were not allowed to express their views on “crucial issues of academic relevance”. The JNU regulations require the circulation of the council agenda 10 days before the meeting, but agenda papers did not reach any schools and centres before October 1 and for many, it reached on October 3, the JNUTA said. “This purposeful delay has made it impossible for the schools and centres to engage fully with all the issues coming up in the academic council,” they said. The dean of the School of Arts and Aesthetics is a statutory member of the academic council but the office has been illegally barred from participating in the meeting, they said. “Prof Kavita Singh, the current dean, has written to the university administration several times since the last meeting, nominating another colleague on her behalf if her participation is unacceptable to the administration, but this appeal has gone unanswered,” the JNUTA said. The Jawaharlal Nehru University Students’ Union (JNUSU) had called for a strike on Fridaysince they were not invited to the academic council. However, the varsity administration called their claims baseless. “The newly elected JNUSU panel is yet to be notified by the relevant body. JNUSU office-bearers are not members of the academic council but only special invitees,” the varsity said. The varsity also said the outgoing JNUSU members were departed from academic council meeting due to “serious misbehaviour and misdemeanour” at an earlier academic council meeting.